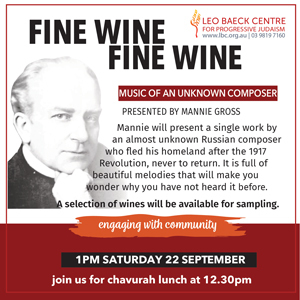 Mannie Gross will present a single work by an almost unknown Russian composer who fled his homeland after the 1917 Revolution, never to return. It is full of beautiful melodies that will make you wonder why you have not heard it before. A selection of wines will be available for sampling.